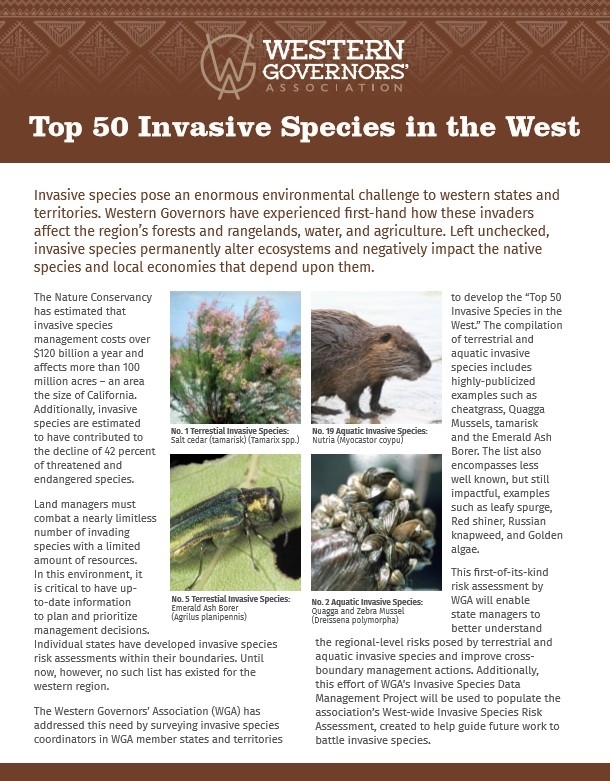 Last Thursday (March 15, 2018), the Western Governors' Association released its first ever list of the top 50 invasive species (25 terrestrial, 25 aquatic) important in the western US. This list includes a number of plant, animal, insects, and pathogens. Weeds were 18 of 25 in the terrestrial list and 10 of 25 and in the aquatic list. Both lists had weeds in the #1 slot (tamarisk and Eurasian watermilfoil, respectively.